HOUSTON – Houston-based Plains Gas Solutions, LLC, sued other Houston companies – Tennessee Gas Pipeline Co., LLC, (TGP) and Kinetica Partners, LLC and affiliates – for breach of contract and more for diverting promised gas from a Louisiana gas-processing plant, rendering it unable to function as designed. In a lawsuit filed in Harris County District Court this week, Plains notes that it built a plant on TGP land with a 20-year contract that TGP would supply it with gas gathered from the Cameron system pipeline network. After TGP sold some of its assets to Kinetica, the gas flow stopped in September. This left Plains paying rent for a production plant that could no longer run as designed or provide product to third parties. The lawsuit is the subject of this Law360 story “Plains Lobs $100M Suit At Kinder Morgan Unit Over Gas Row” (subscription required). The law firm Ahmad, Zavitsanos, Anaipakos, Alavi & Mensing P.C., or AZA filed the suit on behalf of Plains and asks at least $100 million in damages for breach of contract and tortious interference with other contracts. AZA lawyers John Zavitsanos, Tim Shelby, Jane Robinson, Kyril Talanov and Adam Milasincic filed the suit seeking a declaratory judgment against TGP and Kinetica. Plains and TGP contracted in 2007 for Plains to run the plant on TGP property and for TGP to supply gas through 2027. The gas was cut off, for what Plains says is a bogus excuse, with 14 more years to go on the contract. The lawsuit is Plains Gas Solutions, LLC vs. Tennessee Gas Pipeline Company LLC et al. and is No. 2013-62528 in the 151st State District Court. Ahmad, Zavitsanos, Anaipakos, Alavi & Mensing P.C., or AZA, is a Houston-based law firm that is home to true courtroom lawyers with a formidable track record in complex commercial litigation, including energy, intellectual property, securities fraud, construction and business dispute cases. 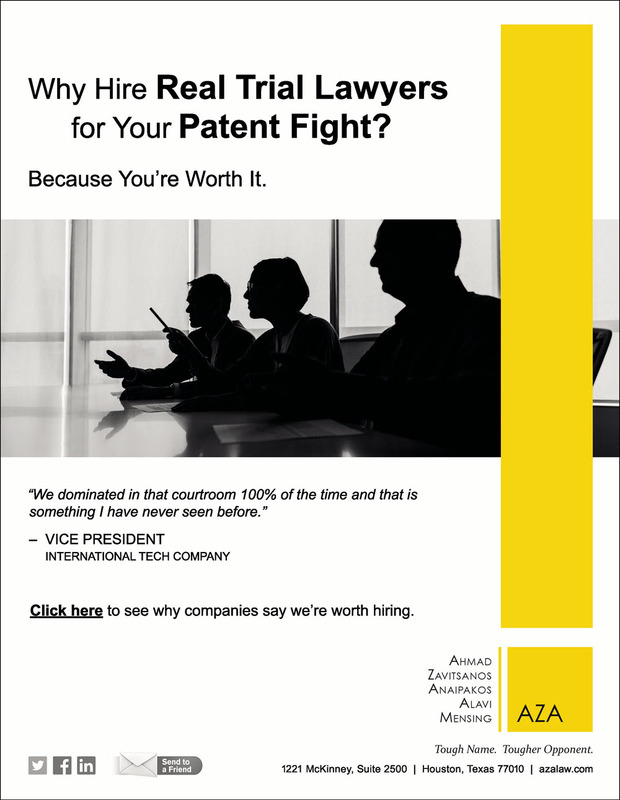 AZA is recognized by U.S. News & World Report and The Best Lawyers in America as one of the country’s best commercial litigation firms in the 2013 listing of the nation’s leading law firms. National corporate counsel named AZA one of the country’s best in client service among law firms serving the Fortune 1000. AZA has been hired on many occasions by the same companies the firm has prevailed against at trial. Read more at https://azalaw.com.